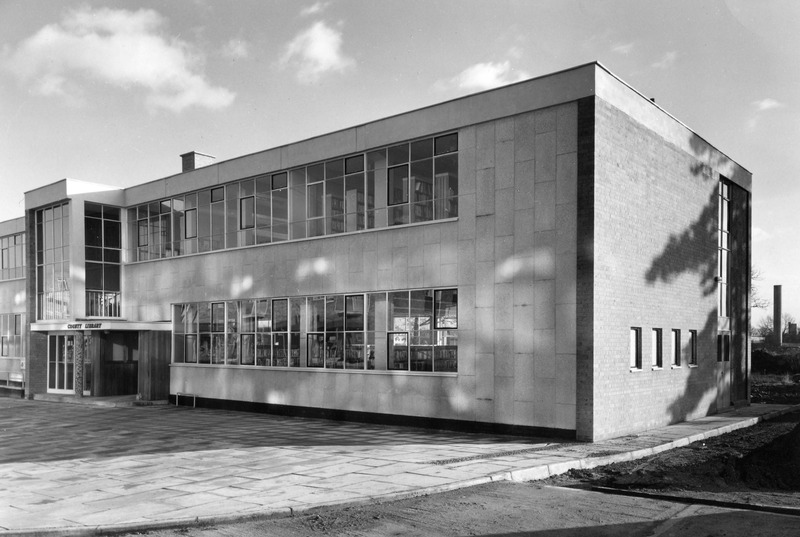 The library was opened in January 1961 by Cecil Day Lewis (poet and Father of the actor Daniel Day Lewis). The building has been extended and altered on several occasions. I remember regular Saturday visits with my family. We would all come out with an arm full of books. My sister would have read most of them by the time we got home. This page was added on 20/01/2011. I remember we were encouraged to use the mobile library, parked behind the council offices at the Oval. I used to listen to pop music and then in the 60s I heard Handel’s water music on the radio after which I became addicted to classical and baroque music. However this was largely due to the enormous collection of classical music on records kept at this library. I was only allowed one record out at a time, but naughty me, would take one out and hide it and then shortly take another one out so I could take two records home to listen to. If it was not for this library I wonder if I would have developed a love for this genre of music. 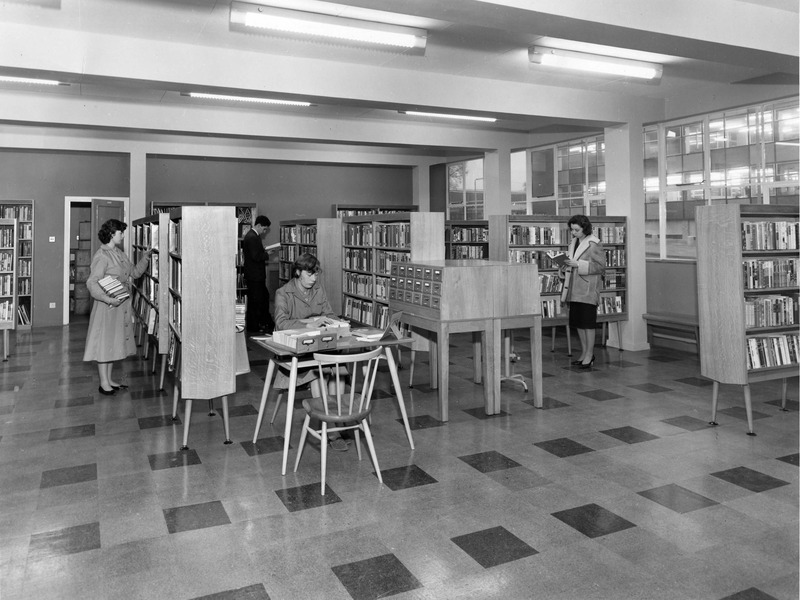 The views shown are certainly when the library was in its first incarnation in the early 1960’s. 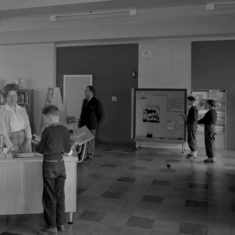 My family moved to the town (Pin Green) in March 1966 and we started using the library regularly in the late 1960’s by which time the first extension of the building had taken place. This was in the form of a two storey extension behind the original building and linked to the front part by a narrower glazed area which also included a stairway to the first floor. Outside the glazed link and between the two main blocks of the library building was a paved area with two Silver Birch trees planted in the centre. 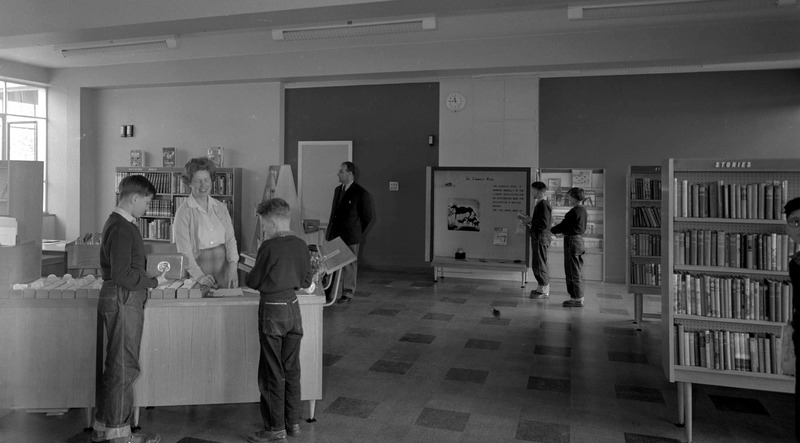 The area shown in the top and bottom left had by that time become the ‘Childrens Library’ for a while until the early 1970’s. You could only take four books out maximum and you were given a coloured disc which indicated the number of books you could borrow. The disc was dropped into a slot in the desk when you got your books stamped. The colours of the discs were red (= 1 book), blue ( = 2), green (= 3) and, white (= 4). 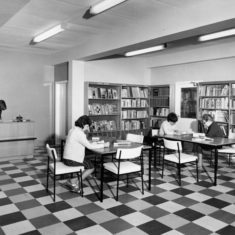 In the early 1970’s the library was reorganised and the room became the ‘Arts’ section which contained collections of poetry, classical texts (Shakespeare, Chaucer, etc.,), musical scores and a record library and, books dealing with the arts and associated artifacts. 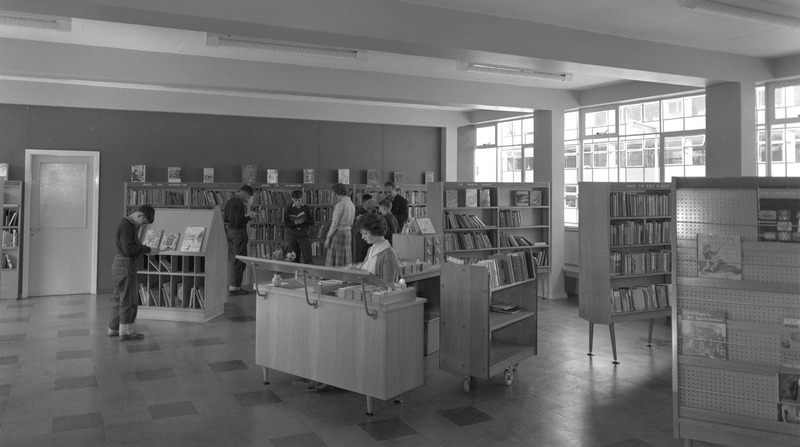 The Children’s Library was relocated into the ground floor of the ‘new’ extension together with the adult fiction and a selection of non-fiction books and was known as the General Library. 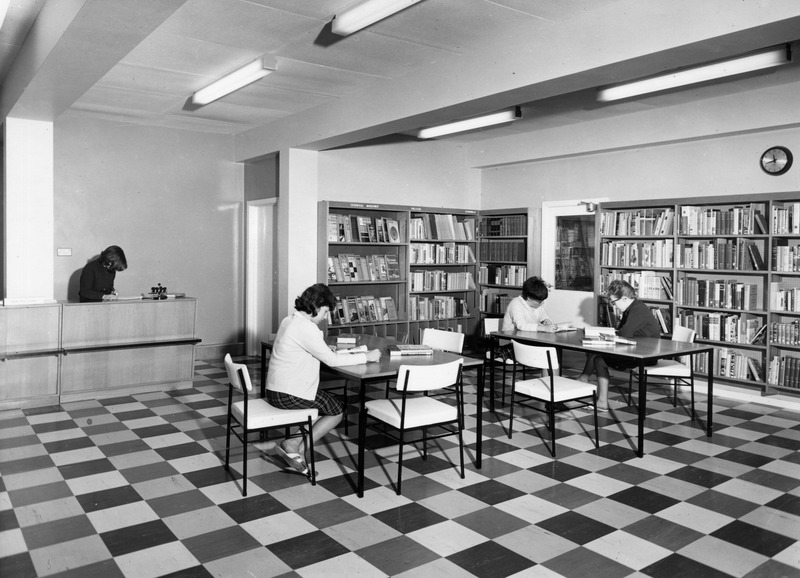 The General Library was enlarged in 1975/6 when the covered loading dock at the rear of the extension was taken over and fitted out as an area specially for the younger children and was used for story-time sessions on some afternoons. On the first floor above the General Library was located the ‘Humanities Department’ specialising in history (including local history) economics, geography (as in places rather than physical geography which was in the Science and Technology Department) and, biographies. 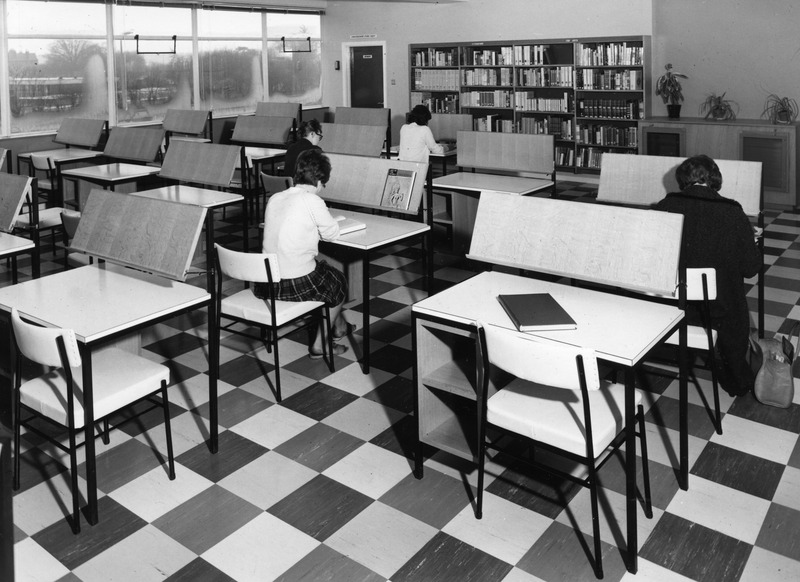 It also included a number of study desks. At the front of the building above the Arts Department was the Science and Technology Department, which as its name suggests contained books and magazines associated with these area plus items on management, medicine and natural history. It was also home to the Technical Book Service. 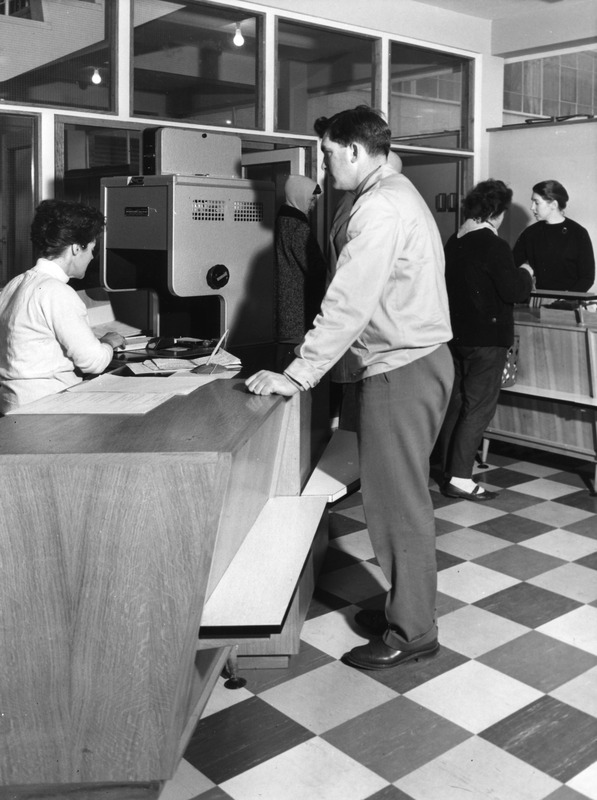 This was one of the first public libraries outside of the metropolitan areas that offered a search facility for the public of other libraries catalogues via computer. As part of the improvements connected with the ‘first’ extension of the library, a new issuing system for books was installed which replaced the coloured discs and green tickets with a single white ticket with the owners details on it which was photographed alongside the inside front page (which had all the details about the book including the book’s unique ‘accession’ number) and a ticket with the date the book was due to be returned by. 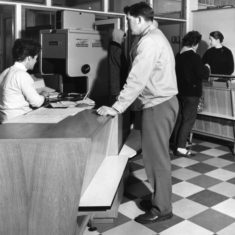 The library also included a security system which locked a three pronged barrier if some-one tried to leave with a library book without having it properly ‘checked-out’. 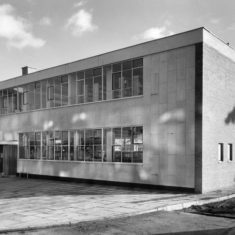 The building was also home to two ‘trailer libraries’ which were towed out to the local shopping centres in the new parts of the town such as The Oval, in the Martin’s Wood area of Pin Green and, The Glebe in Chells. 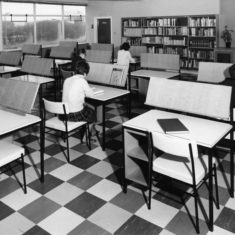 I was employed as a Library Assistant in this library between September 1975 and May 1977 doing a variety of jobs including, shelving the returned books, issuing books (using the cameras) and helping out behind the ‘enquiry’ desks in the various departments. 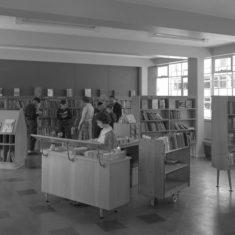 The library was further extended in the early 1980’s when the area where the two Silver Birch trees were was incorporated into the building although by that time I had left the area. 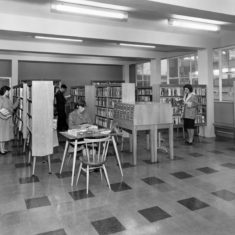 When I came to Stevenage, in the early 1960s, they had just built the first of two extensions to the library. This older front piece was being changed to give kids a lot more space; books to borrow downstairs and a homework room upstairs.